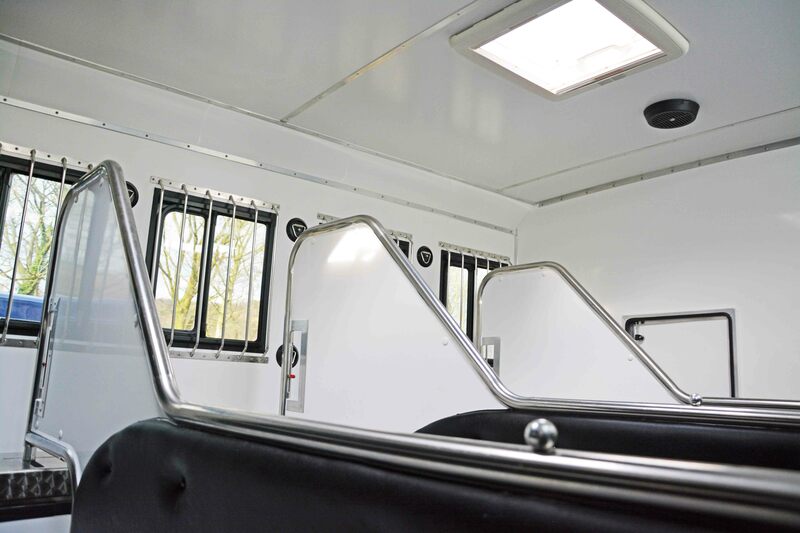 The Envoy has been designed with the professional in mind to transport horses in comfort and safety. 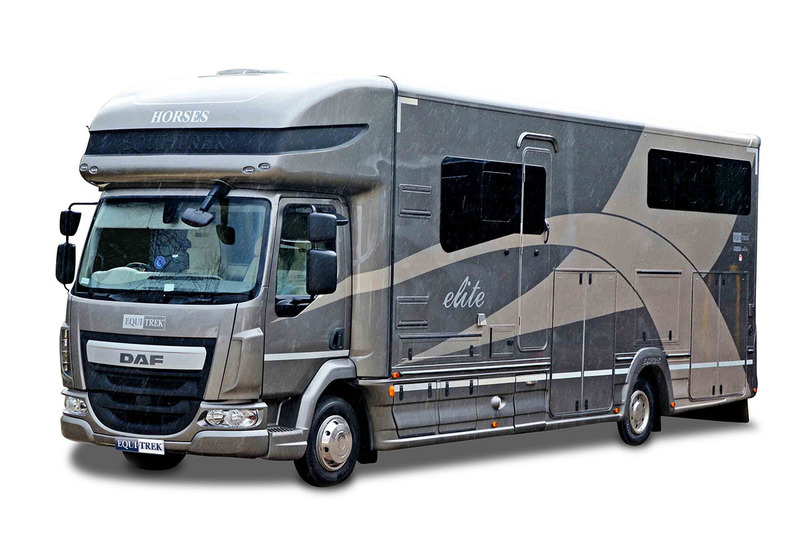 Built on a brand new Euro 6 DAF LF 45 chassis with full manufacturers unlimited mileage warranty, the Envoy affords all the reliability, performance and economy the professional competitor must expect. 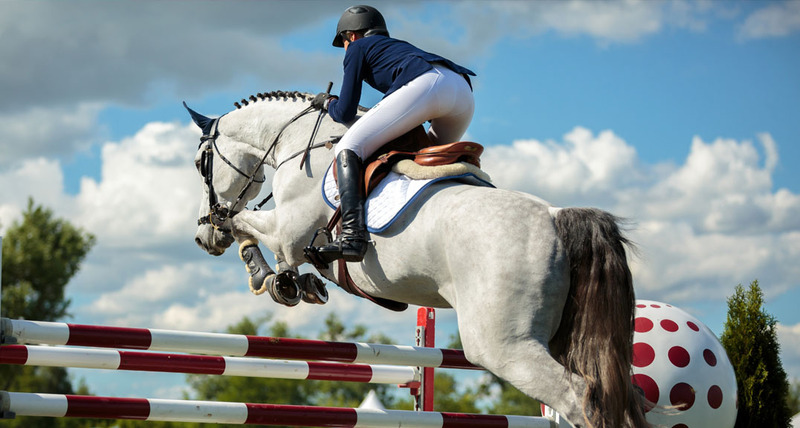 The Envoy has large under floor storage lockers, spacious tack lockers for up to six saddles, plus a separate groom’s locker to safely store all your equipment. The Envoy also has a huge carrying capacity in excess of 5,000kg. 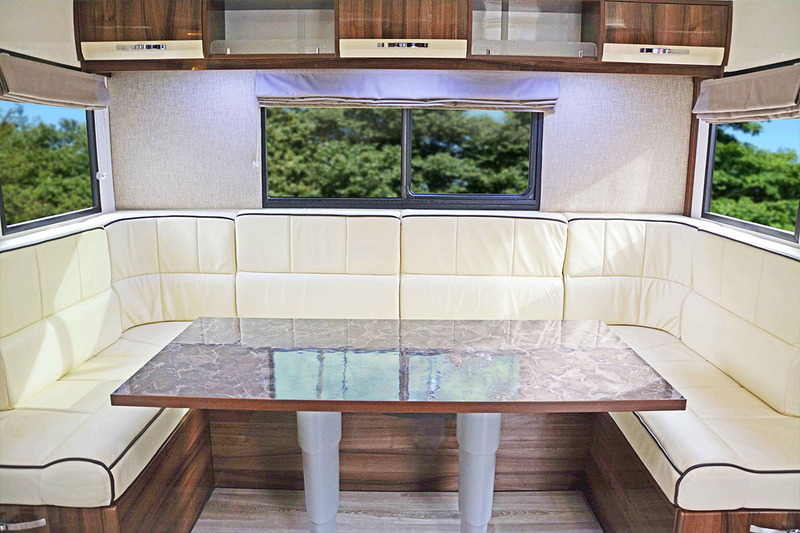 The living area is spacious and comfortable; there is ample seating for six people which converts into a large double bed, whilst the over cab area provides sleeping for a further two people. The fitted kitchen comes complete with a gas hob and sink with matching smoked glass lids. 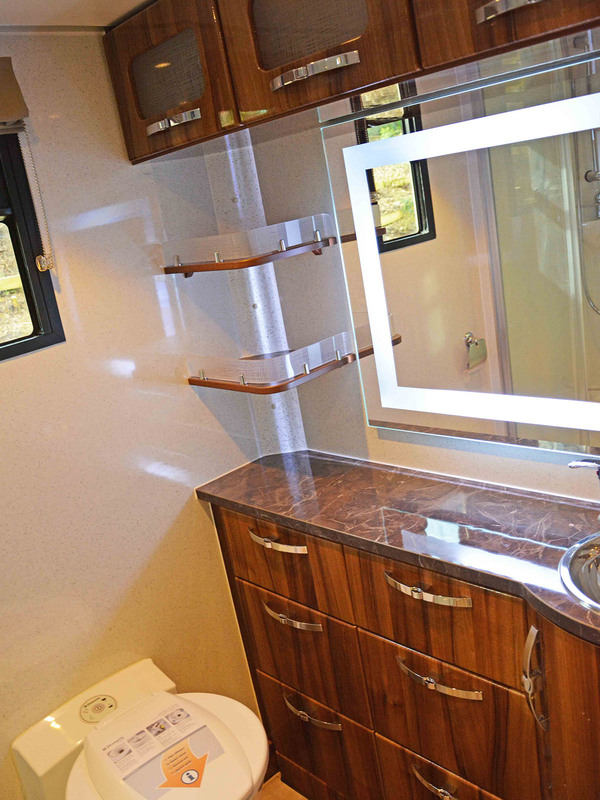 The large separate bathroom area can be fitted with a shower cubicle, electric flushing toilet, wash basin and vanity unit if required. 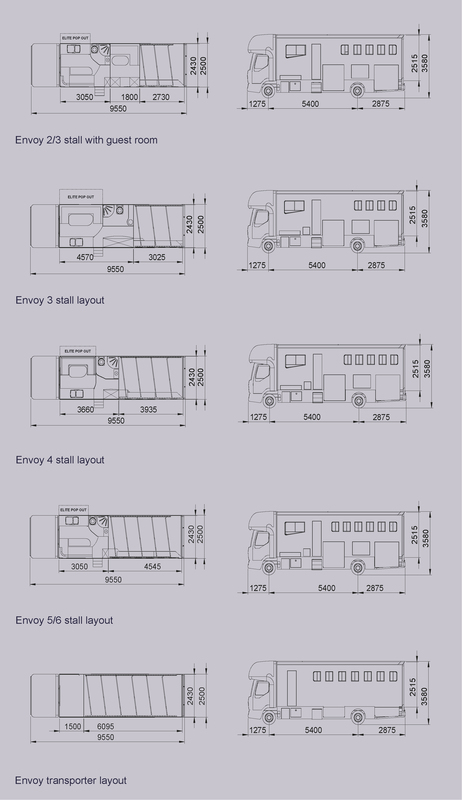 The attractively designed body of the Envoy incorporates a fully tilting cab for ease of maintenance. 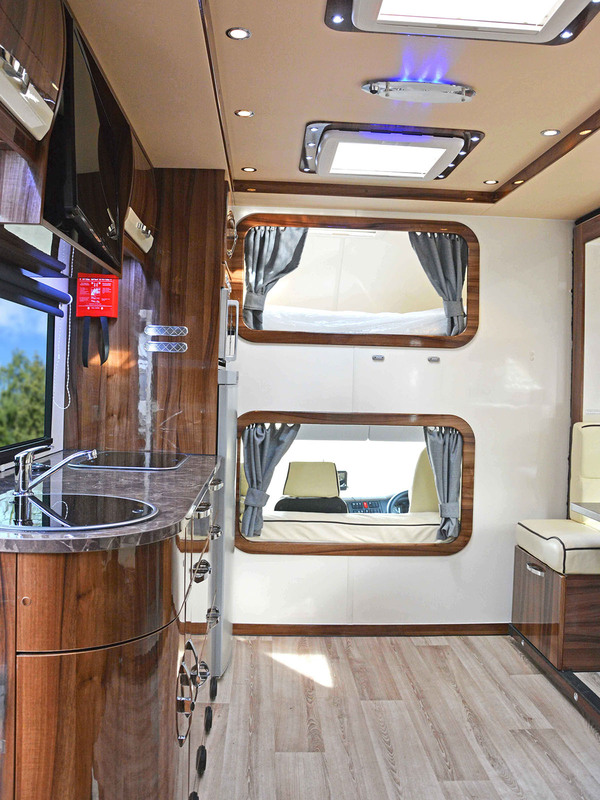 The Envoy is available in a variety of specifications to suit your individual requirements: from the Transporter to the Excel or the luxurious Elite. 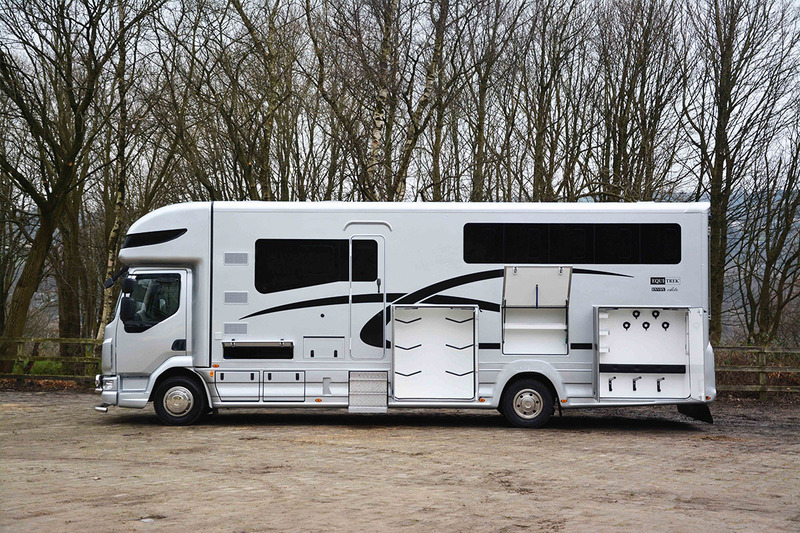 At Equi-Trek we appreciate that when it comes to fitting out a horsebox everyone has their own individual requirements. 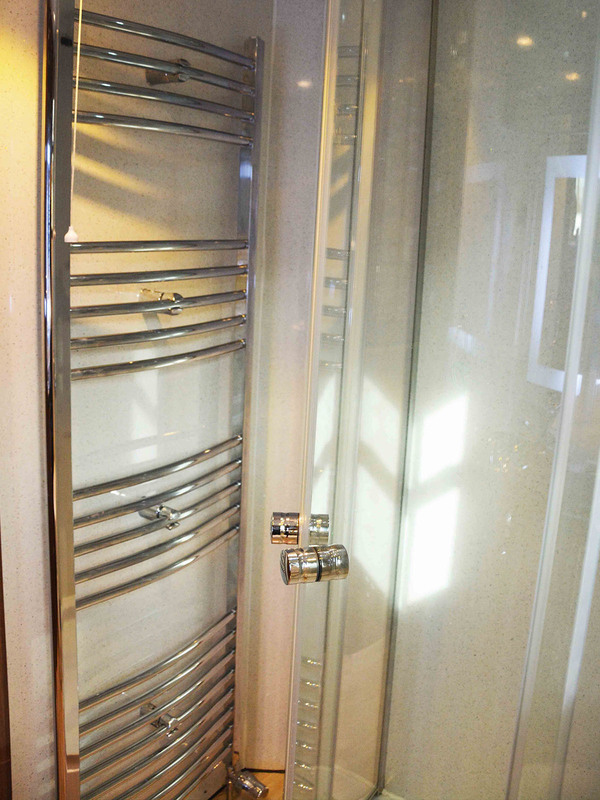 The Classic range provides all the essentials at a cost effective price, allowing the customer to choose the optional extras they actually require. 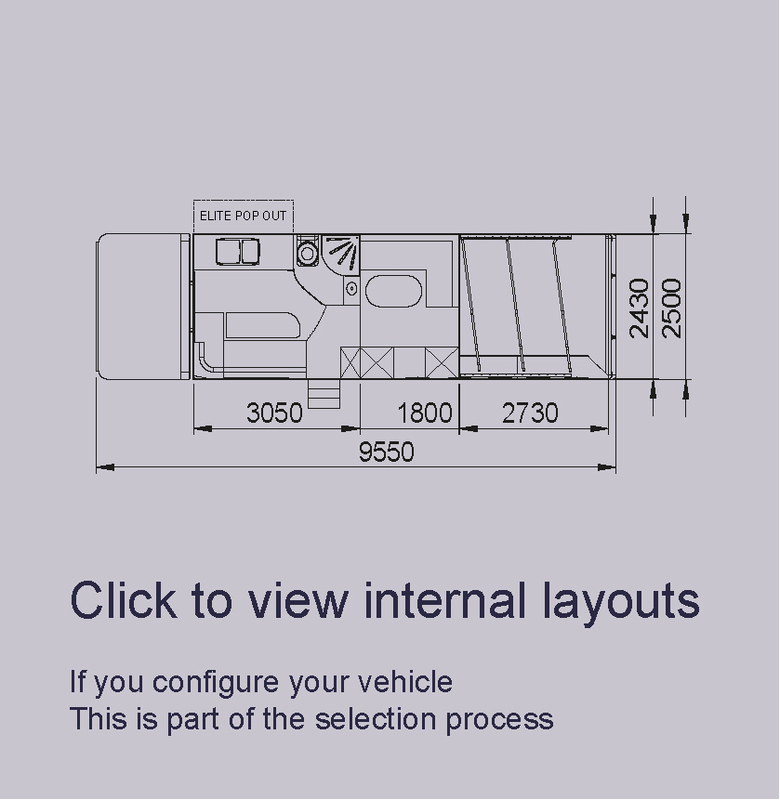 6 Speed gearbox (Automatic Gearbox available). Wardrobe: Two hanging wardrobes suitable to store show jackets, coats etc. 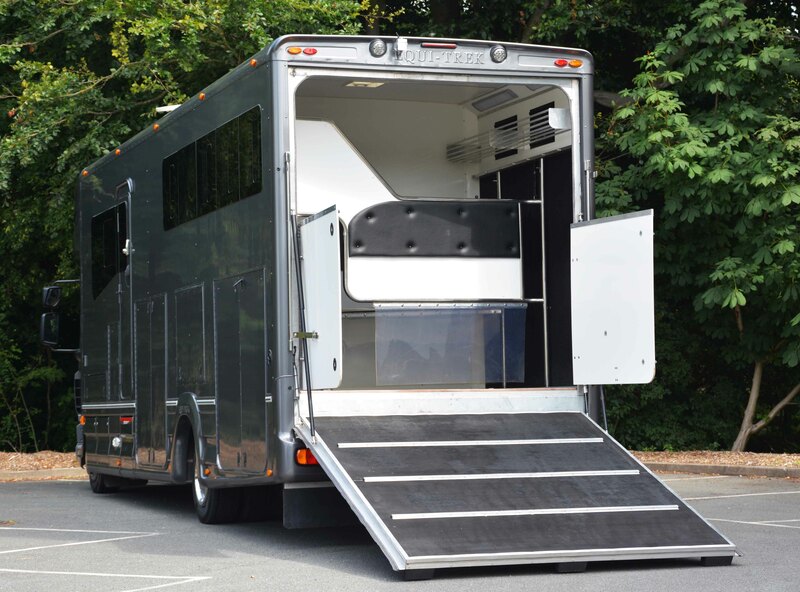 peace of mind you need when travelling horses for long distances. excellent all-round visibility for optimum safety.